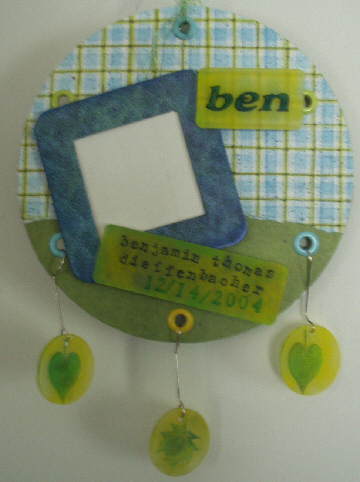 Above: Rummikub game tiles decorated with collaged images and text and coated with Diamond Glaze. Below: Tri-omino game pieces turned into tiny shadow box pendants. Metal juice can lids made into Christmas gift tags. 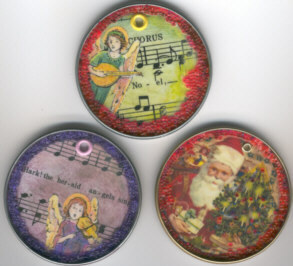 See more of my juice lid ornaments at the Ten Two Studios Design Team page. 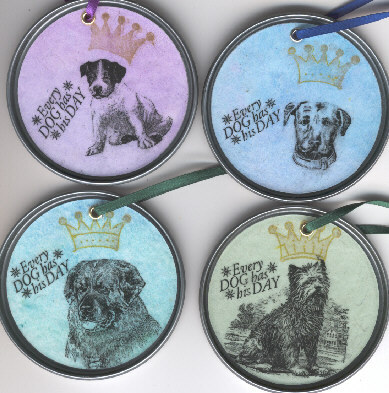 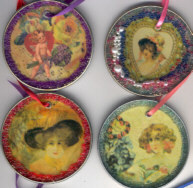 Juice can lids made into "Year of the Dog" and Valentine's Day ornaments for an altered art swap. 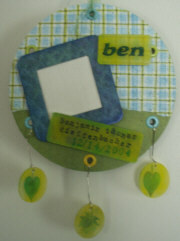 Altered "junk CD" converted to a baby picture frame for my friend Rachel. 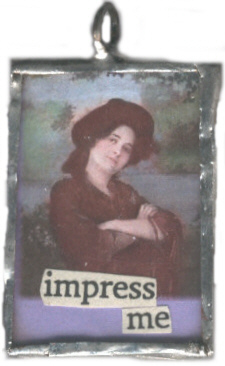 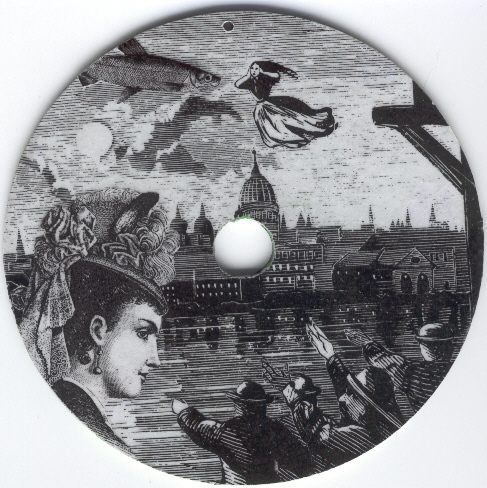 Collaged "junk CD" made for my friend Leigh. 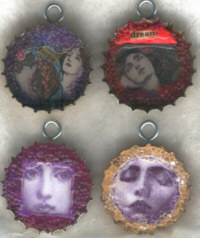 Bottle cap charms -- These can be used as pendants or ornaments.